Looking for an expert roofing team to take care of all of your roofing requirements? Look no further. 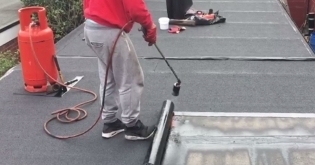 At Trent Roofing, we have over 18 years of practical industry-specific experience, which enables us to offer a full complement of roofing services at very competitive rates. We're flat roof specialists, but can also complete installations and repairs for pitched roofs. Our reputation is important to us, which is why we'll never cut corners and will always leave you with results to be proud of. Whether there's a problem with your existing roof or you need a new one installed, you can lay your trust in our team who will always strive to do a phenomenal job. Our aim is to complete each job speedily and with as little disruption as possible. Your property will be left clean and tidy and any rubbish generated will be removed from the site. Over the years, we have worked hard to earn a great reputation for both quality and affordability. We're dedicated to saving you money where possible, and if something can be just as well repaired instead of replaced, then we will be happy to advise you of this. If you're in need of a professional roofing service in Nottingham or Derby, all you need to do is call. 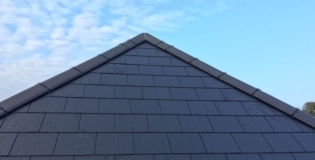 For a full complement of roofing services from experienced roofers in Nottingham or Derby, call Trent Roofing today.